Thumbs.db files are created by windows to store thumbnails cache to make reloading of thumbnails faster. These files are not relevant to Ubuntu and its a good idea to delete them. This often happens when we transfer some files from a removable storage drive to Ubuntu. Of course the files stored on the drive came from Windows. This is also the case with systems having dual boot option of Windows alongside Ubuntu. These files can be deleted manually but they may be in large number of folders. 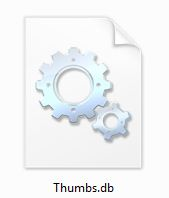 To make this easy Perberos have created a nautilus script that automatically finds thumbs.db files in folders and deletes them as soon as you navigate into a folder. So no more those annoying thumbs.db files.